State Board/Commission/Council: Minnesota Council on the Economic Status of Women; 19?? to 19?? State Board/Commission/Council: Minnesota Council on Asian-Pacific Minnesotans; 19?? to 19?? 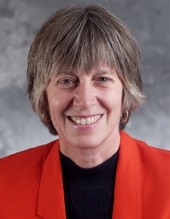 She was the first openly gay person to run and be elected to the Minnesota Legislature, without previously having held a seat in it. 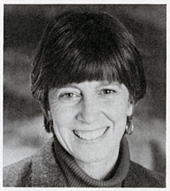 She was the first openly lesbian member to serve in the Minnesota Legislature. She is also the longest serving openly lesbian member to serve in a state legislature in the United States. Allan Spear was the first openly gay member of the Minnesota Legislature. 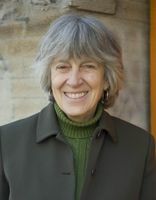 She grew up on a sharecropping farm in Rock County, Minnesota. Her mother was Mayor of a small town. 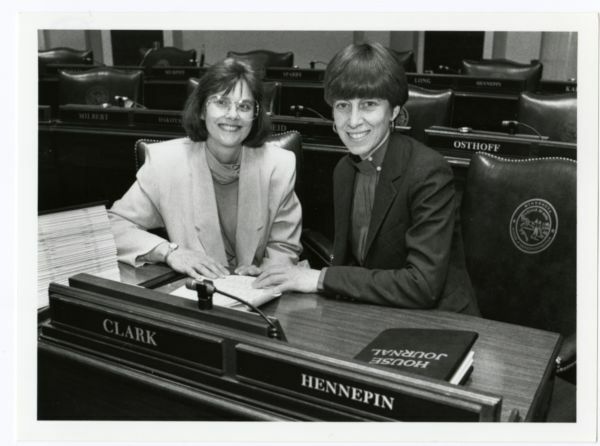 Senator Linda Berglin poses with Representative Karen Clark in the House Chamber, St. Paul, Minnesota. 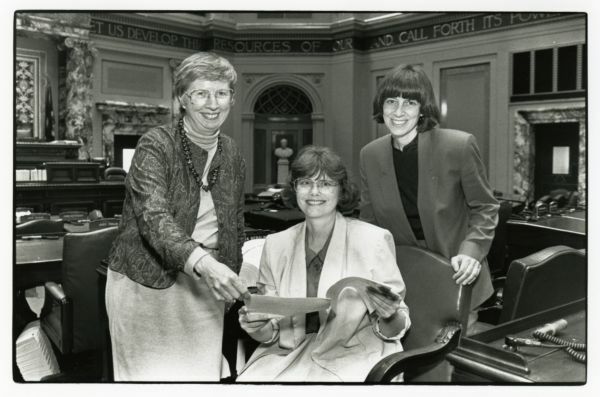 Senator Linda Berglin poses with Representative Linda Wejcman on her right and Representative Karen Clark on her left in the Senate Chamber, St. Paul, Minnesota. 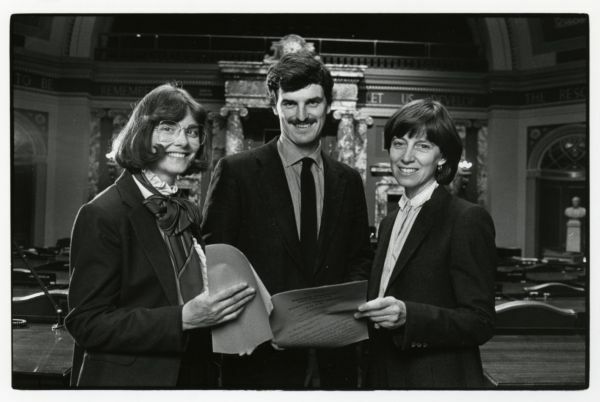 Senator Linda Berglin poses with Representative Peter McLaughlin and Representative Karen Clark in the Senate Chamber, St. Paul, Minnesota.